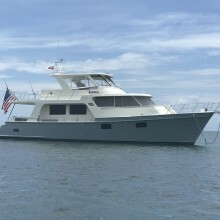 Private Marlow Motor yacht Cruising The Bahamas looking for 1 mate/deck help. Owner operator, Primary duties are deck work, clean exterior, daily engine rooms checks. Keep the boat looking great while having fun. Must be drug and drama free.